Emma Ciardi was a painter of genre scenes, cityscapes, and landscapes. She participated in the Exposition de Bruxelles in 1910. 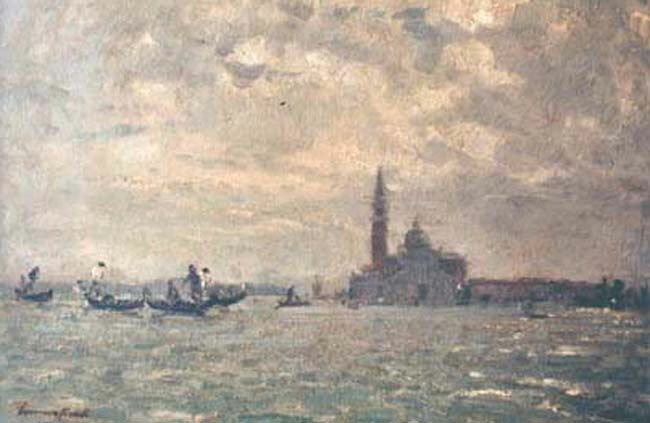 She often depicts views of Venice or elegant genre scenes. Currently there are no available Emma Ciardi paintings for sale at the Mark Murray Gallery. Please contact us if you are interested in selling your Emma Ciardi paintings or other artwork from the 19th century and early 20th century.